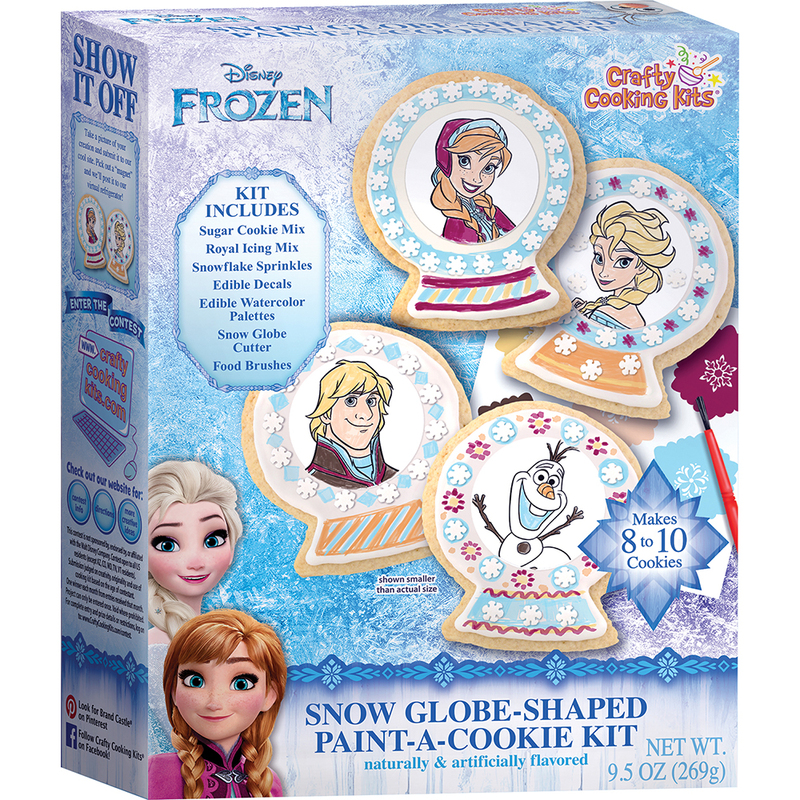 Paint your own edible snow globe featuring your favorite Frozen characters! 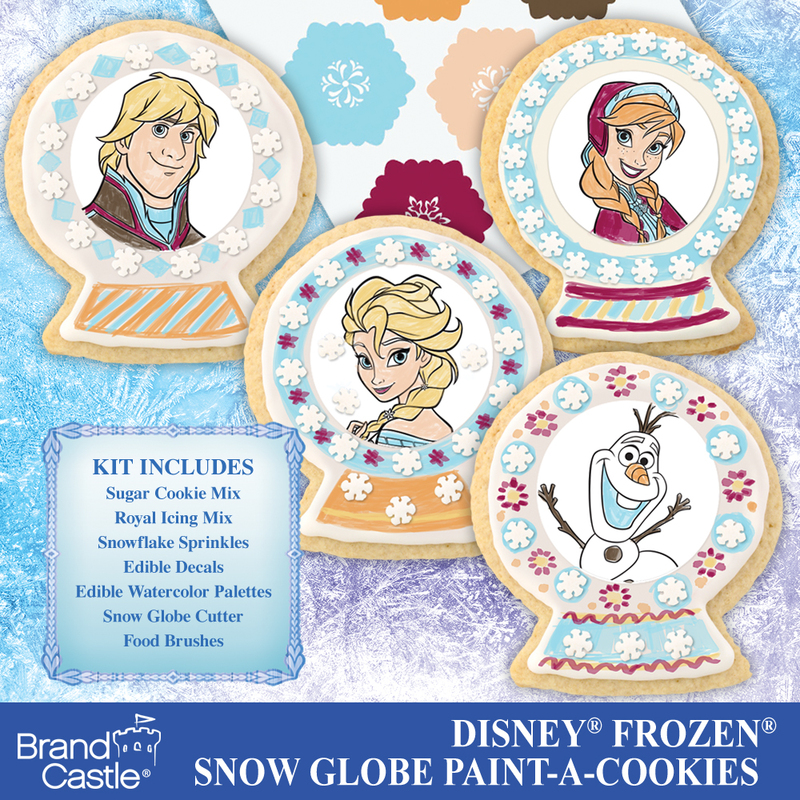 This kit comes with edible cookie decals and paint palette. You can choose to mimic our designs or color your own. Royal Icing Mix: Confectioners’ Sugar (Sugar, Corn Starch), Dried Egg Whites, Cream of Tartar, Natural And Artificial Flavor. Edible Decals: Tapioca Starch, Corn Syrup Solids, Microcrystaline Cellulose, Sugar, Water, Canola Oil, Glycerine, Artificial Color, Polyglycerol Esters, Food Starch-Modified (Corn), Algin, Citric Acid, Potassium Sorbate (Preservative), Coconut Oil, Soy Lecithin, Blue 1 Lake, Red 40 Lake, Red 3, Yellow 5 Lake, Yellow 6 Lake. Edible Watercolor Palettes: Rice Flour, Dextrose, Sugar, Water, Glycerine, Blue 1, Red 40, Yellow 5, Red 3, Potassium Sorbate (Preservative). 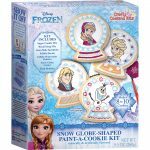 Snowflake Sprinkles: Sugar, Rice Flour, Palm Oil, Palm Kernel Oil, Corn Starch, Cellulose Gum, Carrageenan, Confectioner’s Glaze. Adults Combine cookie mix, butter and egg*. Mix by hand or with an electric mixer until well-blended. 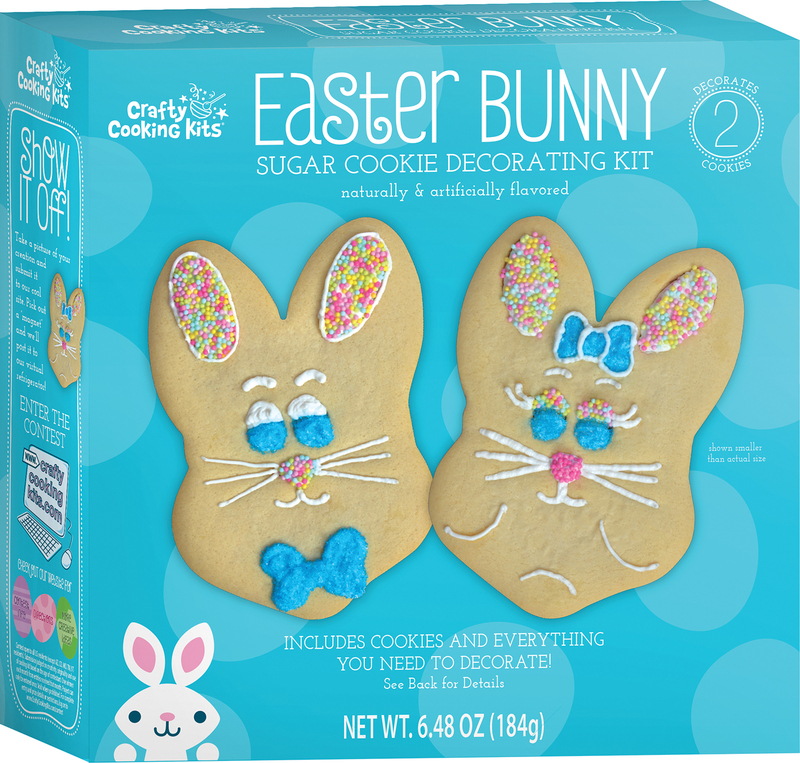 Kids On a lightly floured surface, roll cookie dough to 3/16-inch thick. Make shapes with cutter, gathering and rerolling dough as needed. HINT: If dough becomes sticky, place in fridge for 10 minutes, also flour rolling pin and dough liberally. Place 2 inches apart on prepared baking sheet. Adults In a small mixing bowl, combine icing mix and water, stir until dissolved. Add powdered sugar and whisk with a fork until smooth. Kids Spread icing on each cookie. Empty snowflake shapes into a small dish. Adults Cut open pouch and gently peel edible decals from backing sheet. HINT: If decals stick to backing, place sheets in freezer for 2 minutes before continuing. Assist kids in applying decals. If they tear, simply realign on cookie. 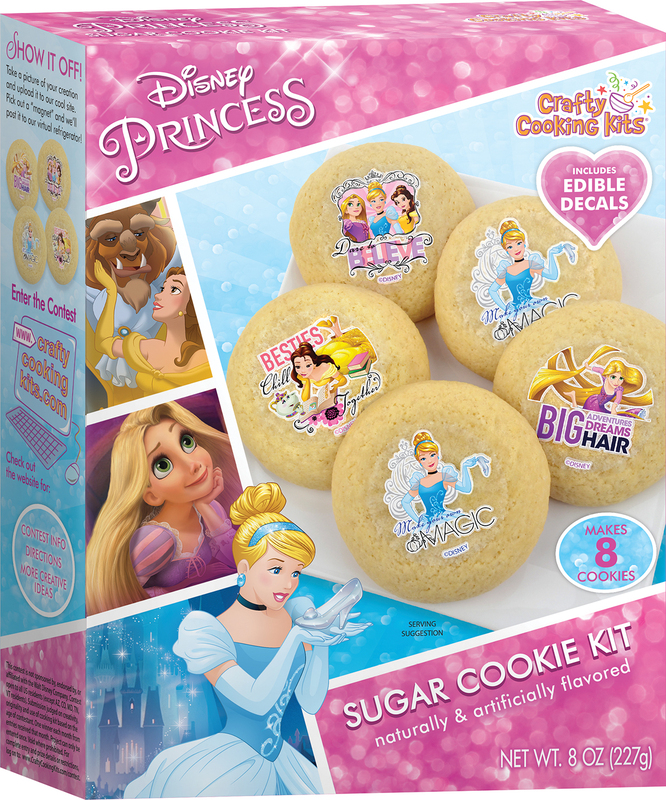 Kids Place edible decals onto wet icing. Be careful–decals should not be moved once applied. 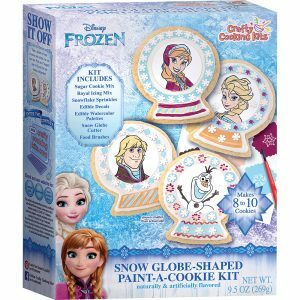 Immediately place snowflakes onto icing around decal. 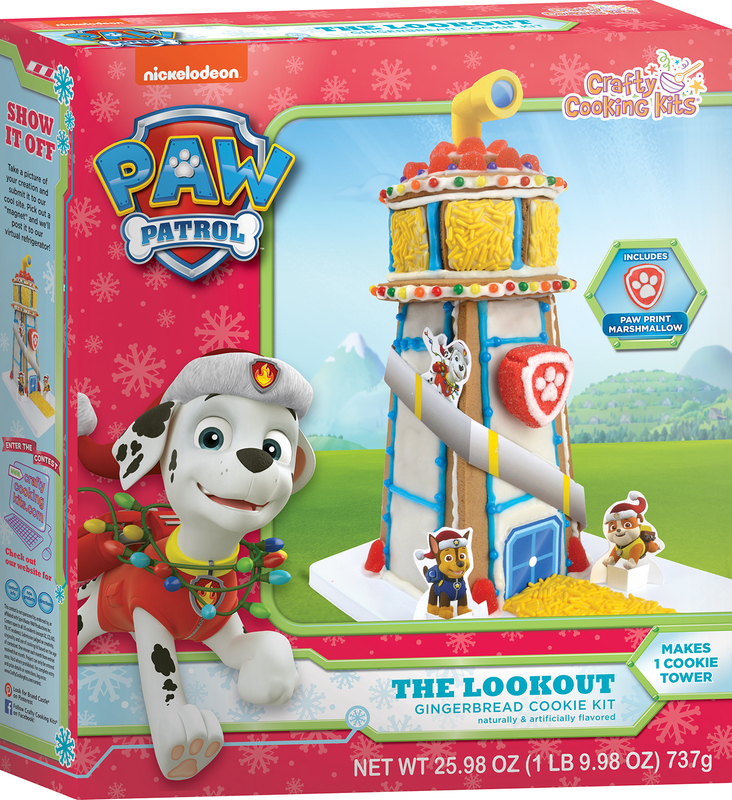 HINT: Snowflakes can be added on top of decal by securing with a dab of icing. Icing will dry completely in 45 minutes at room temperature or place cookies in refrigerator to speed up the process. Adults Place a bowl of water and paper towel next to each work area. Remove watercolor palettes and paintbrushes from pouches. Kids Wet brush and tap to remove excess water. Place tip of brush into part of one color on edible watercolor palette and rub gently to activate color. 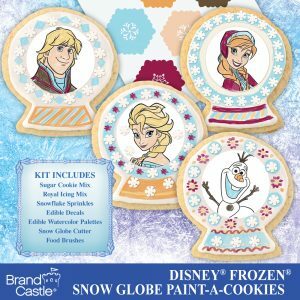 Paint cookies as desired, rinsing brush between colors. Place finished cookies on a platter and enjoy! *High Altitude (over 3500 ft.): Add 3 TBSP. flour and 2 TBSP. water to mix. Mix as directed. Place dough in refrigerator for 10 minutes before beginning rolling process.